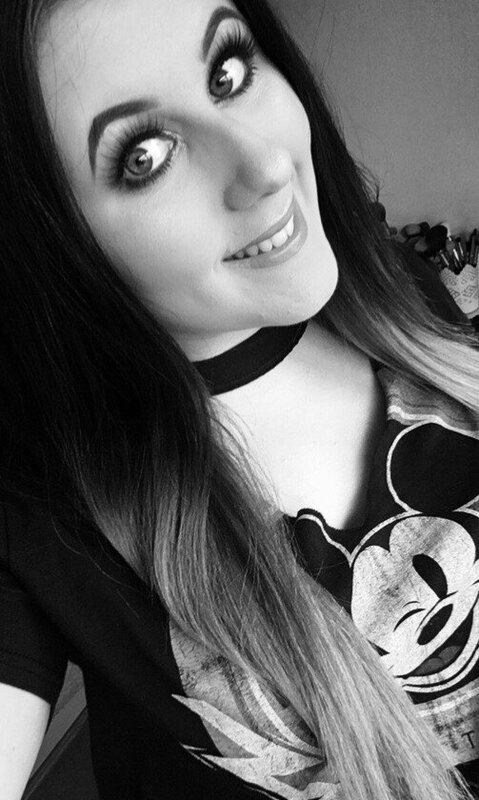 As a blogger I know how important it is and addictive it is to write everything down and keep track of your blog. 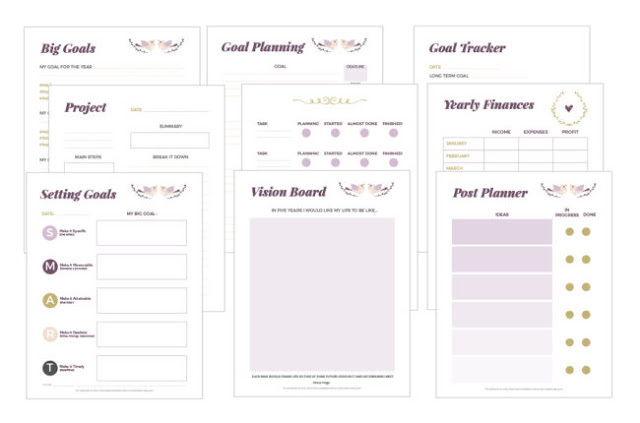 What's better than finding free downloads that you can easily print off and build into a planner or keep in a file. I have searched and found some of the best ones and I have created one myself. All of these are free and easy to download. 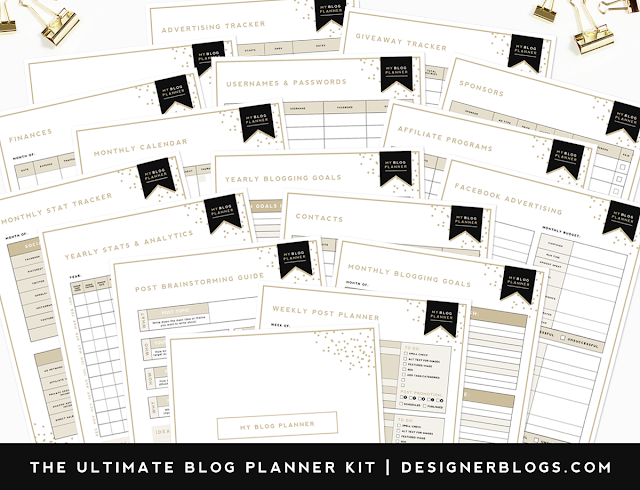 I have included planner pages, statistics trackers, blog post checklists and more. 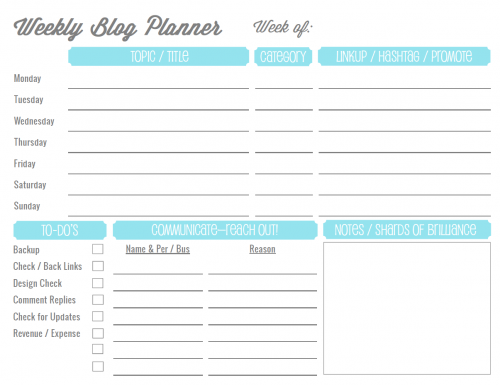 This weekly blog post planner is perfect. 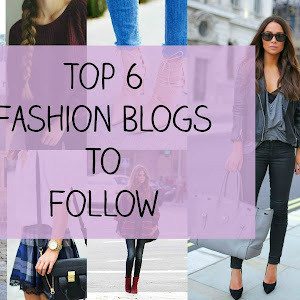 It includes sections for your blog posts and hashtag idea's, a small checklist and a section for notes. Go straight to her free download here. You don't need to subscribe or anything, it is a basic and quick download. How incredible is this! You get twenty plus pages free to print. 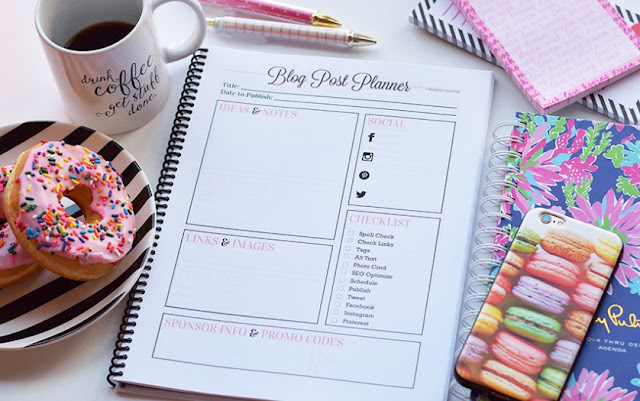 It includes Daily, Weekly and Monthly Blog Planner pages, Goal Trackers, Monthly Income, Monthly Expenses, Password Keeper and much more! In order to get this bundle for free all you have to do is subscribe to the blogs newsletter and then you will instantly receive an email with a PDF document with everything in. I have done this and it is perfect. These are adorable! She has three printable's available including the Blog Post Planner (in the image above), Weekly Blog Post Planner and Blog Brainstorming Printable. All three look similar to the one above in the pretty simple design with a hint of pink. This free printable comes with 27 pages! 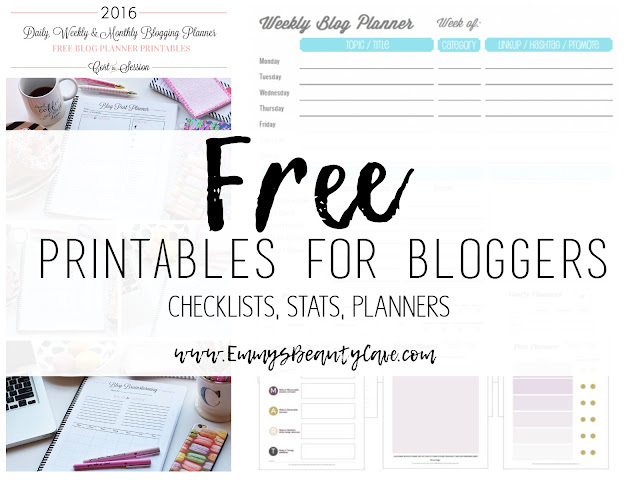 It includes Yearly Blogging Goals, Monthly blogging Goals, Weekly Post Planner, Yearly Stats and much much more! I honestly cannot believe this is free. To download this bundle for free all you need to do is subscribe to the mailing list here and you will then receive the bundle for free. I had been searching for a Social Media Tracker printable for a while but I couldn't find any that had Bloglovin on so I decided to make my own. I have kept it simple and it includes two pages with six months on each page. 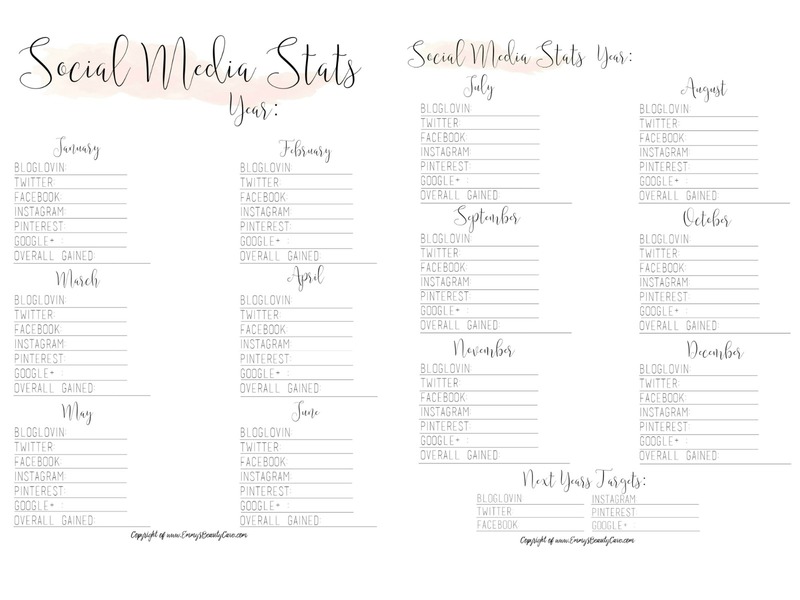 It includes Bloglovin, Twitter, Facebook, Instagram, Pinterest and Google Plus whilst having a Overall Gained section at the bottom so you can see how many followers you have gained in total each month. At the end of the second page there is a section for Next Years Targets. You can also use this every year as at the top of the pages it has a Year: section for you to put in the year. I hope you find these free blogger printable's useful!